MEETING - The Romanian Interior Minister Carmen Dan is attending in Washington the EU-US Justice and Home Affairs Ministerial Meeting. At the meeting, Carmen Dan will present Romania's priorities in the field during its presidency of the EU Council in the first half of next year. The EU is represented in Washington by the Austrian ministers of the interior and justice, on behalf of the current Presidency of the Council of the European Union, the members of the delegation representing Romania, the country that is to take over the Presidency in January 2019, and the European Commissioners for migration, home affairs and security. ACCUSATION - The National Anticorruption Directorate claims that the Speaker of the Romanian Senate, Calin Popescu-Tariceanu, indirectly received 800,000 USD dollars worth of material benefits from an Austrian company while he was Romania's Prime Minister, in 2007-2008. The amount accounted for a 10% commission from the value of addenda and was used for the benefit of the dignitary. The case was opened in 2018, by bringing together three criminal cases, of which one was taken over by the anticorruption prosecutors, at the request of the Austrian judicial authorities. In a communiqué issued at the request of Agerpress News Agency, the Directorate also mentions the fact that, in keeping with the legal and constitutional provisions in force, prosecuting Tariceanu for bribe-taking is possible only if endorsed by the Senate. Previously, Calin Popescu-Tariceanu had stated the Government made no payment in relation to the Microsoft licenses during his term as prime-minister. We recall that several people, including ministers, have been prosecuted in the so-called Microsoft case, for acts of corruption in relation to license agreements concluded for schools, worth hundreds of millions of dollars. EC - On Thursday, the European Commission decided to send Romania a formal letter calling on the Romanian authorities to stop using the split VAT payment mechanism. According to the Commission, the mechanism runs counter to both the EU regulations in the field and the freedom to provide services. In another move, also on Thursday, the Commission noted that an energy producer in Romania - the Hunedoara Energy Complex - has received incompatible state aid amounting to 60 million Euros. According to the EC Representation in Romania, the state must recover the illegal aid and the related interests. JUDGE PANELS - On Friday, the High Court of Cassation and Justice will designate, by drawing lots, the members of the five-judge panels for 2018. There are four panels consisting of five judges, two for criminal and two for civil matters. On Wednesday, the Constitutional Court admitted the notification filed by prime-minister Viorica Dancila regarding the formation of the 5-judge panels and decided there was a constitutional conflict between Parliament and the High court of Cassation and Justice. The Constitutional Court has decided that the latter should urgently take measures to form the 5-judge panels. EPP - On Thursday, the German politician Manfred Weber was elected candidate of the European People's Party (EPP) for the seat of president of the future European Commission (2019-2024). Weber, who got 80% of the votes, defeated the Finish Alexander Stubb. The Romanian parties members of EPP, the National Liberal Party, the Democratic Union of Ethnic Hungarians and People's Movement Party supported Weber. On Wednesday, the first day of the Congress, EPP adopted a resolution calling for the observance of the EU's fundamental values. The document reads that nationalist and populist extremism, disinformation, discrimination and failure to observe the rule of law are the biggest threats against freedom and democracy in Europe, after the fall of the Iron Curtain. We recall that the next EC is to be formed after next year's elections for the European Parliament, due in spring. AIR BASE - On Friday, the Romanian Defense Minister Mihai Fifor and his Canadian counterpart Harjit Singh Sajjan pay a visit to the Mihail Kogalniceanu air-base in south-eastern Romania.  According to the Romanian Defense Ministry, the two officials will meet with the Canadian detachment deployed in Romania. The 135 Canadian soldiers are taking part in air policing missions, under NATO command. HANDBALL - The Romanian men's handball team Dinamo Bucharest defeated Ademar Leon of Spain on home turf on Thursday, in a match part of Champions League's Group D. The victory brought Dinamo 10 points and made it top of the group. The main contenders for the qualification to the play-offs, are Ademar Leon, with 9 points, and Wisla Plock (Poland) and Elverum (Norway) with 8 points each. This is the third season for Dinamo Bucharest in the most important inter-club competition in the world.